My responsibility: Design of toolkit used for the workshop, co-creation with workshop leader of the templates. This activity was designed to be used by those working with school-aged youth. The participants we included to test it were all previous teachers, and either assumed this identity in the testing, or acted out as a school-age children. 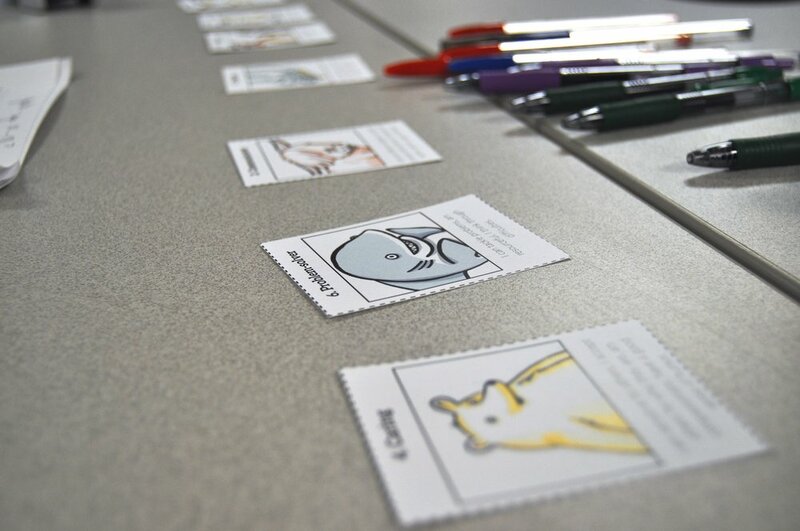 After a "what is leadership" discussion, everyone used the cards to identify their personal leadership style. Then the participants got into groups and received a scenario card and solutions sheet, and they needed to explain how as a team, they would each alternate leadership roles, bringing their skills to the scenario, in order to solve the problem. The feedback from the prototyping workshop was crucial to the development of the game sheet. The portrait orientation was changed to landscape, and drawings are used to suggest ways to use the sheet. Is a PDF that is a part of the curriculum in the Better Kid Care module, PYD: Youth Engagement. Check it out here.